Stretch marks are familiar to women the world over; methods of how to prevent stretch marks, however, are almost certainly less well known about. They are an inevitable part of a woman’s life – whether it is during pregnancy, her teenage years or in fact during any stage in her life that involves a change in weight or shape. Therefore, where possible, a controlled change in weight is one of the best ways to tackle this problem. Whether you’re anticipating a gain or loss, it’s important that you establish a healthy rate of change in weight, as advised by your doctor. This is a key component and will reduce an extreme stretching of the skin and therefore minimize the chances of seeing those stretch marks appear. 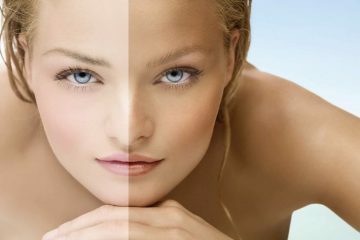 Improving the quality of your skin will also help it to deal with its alterations as and when they happen. As a guideline for those losing weight, you’re advised to drop a maximum of 1lb a week as a means to preventing stretch marks. It’s not too surprising that a balanced diet and some good old fashioned exercise is the key to this formula, as is drinking plenty of fluids to help increase skin elasticity and maintain hydration levels. Now, although this may not be so easy for an expectant mother who will experience weight gain, the same rules apply. Despite cravings, the ‘eating for two’ school of thought and hormonal issues, having a sensible exercise routine and eating healthily should still remain priorities for the mother-to-be. By consuming about 2500 calories a day whilst pregnant, from a diet largely consisting of carbohydrates, fruit and vegetables, this should not only ensure the wellbeing of the child, but will moderate the changes in the mother’s own body and help you to know how to prevent stretch marks from forming. For knowing how to prevent those scars can handle the issue before it actually happens, but a lot of people have already got them. They should be familiar with the different approaches how to get rid of stretch marks, then maintain proper skin care to prevent further ones. Most of the creams and lotions are very effective in handling these stretched skin scars while also make the skin more elastic and supple which is the key to avoid further ones to appear. Contrary to popular belief, Creams which have only Vitamin E as an acting agent have not been proven 100% to prevent stretch marks from forming, due to their being applied only to the upper layer of skin and stretch marks being deeper rooted. All is not lost though as they are said to reduce the appearance of the marks if caught during the early stages. A more effective way of using creams would be working with (those ones which are natural but have more active ingredients in them like aloe vera etc…) as part of a daily massage around affected areas, as this increases the circulation and helps stimulate new cell growth, which both help to stop stretch marks. Stretch marks can make many women too reckless to spend thousands of money on methods of treatment they think are the best only because they are expensive, while this is not the case at all. A case in point is laser therapy which has it’s dangers; they are expensive because the device itself is costly and not because of the magical effect they have on reducing stretch marks. 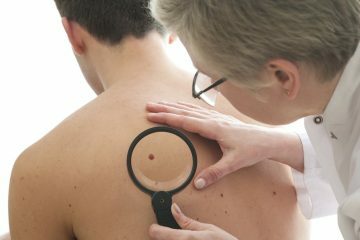 In fact, this therapy depends on damaging the connective tissues in order to stimulate the collagen of the surrounding area to heal them. To be honest, it has worked well for some people but what about the rest. The rest have reported that they got discoloration in the laser-treated area. 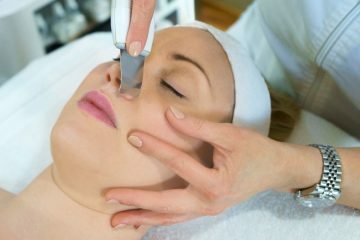 Many others had their skin puckered up or bruised due to the laser wound technique. Burns and redness also are among the effects. So, you should think twice before acting recklessly, for you could treat a problem with another problem.